Penthouse unit in popular Sunrise Tower. 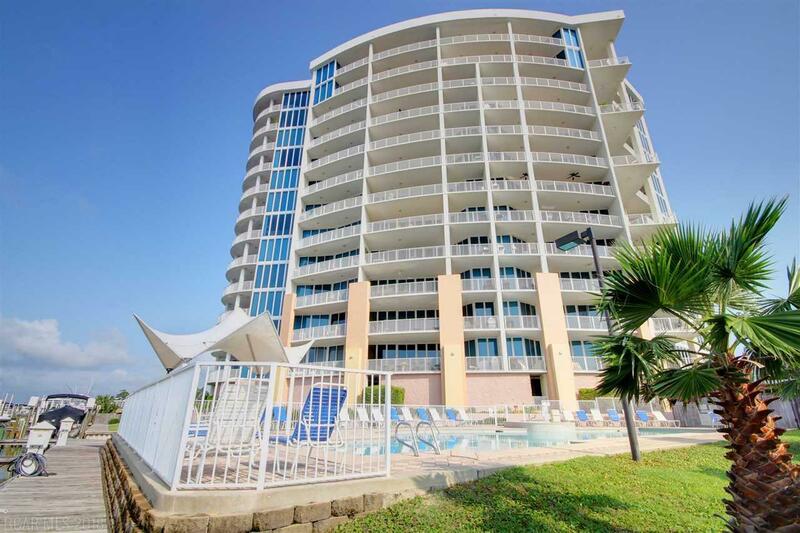 Amazing views of Perdido Pass, The Bay and the Gulf of Mexico! Bayshore Towers hosts all of the high end amenities including waterfront marina, 2 pools and 2 hot tubs, tennis court, fitness center, extra storage room, 2 acres gardener park with fruits, vegetables and roses. Dog friendly with shady places to relax and grassy places to walk your dog. Gas grill for cooking on the balcony. Granite counter tops and stainless appliances in the Kitchen. This gated community is a perfect vacation home or great full time residence. Also included with this unit is one assigned parking space with a storage unit. Subject property has one 50X18 ASSIGNED BOAT SLIP.